For the 1st time, Garnier Micellar technology is formulated with nourishing oils. The micelles (cleansing agents) capture impurities like a magnet & lift away dirt from the skin, whilst the oils instantly dissolve all types of make-up. Cleanse and nourish the feel of skin, in one step without rinsing. Micellar Cleansing Water has a soothing and fragrance free formula that suits all skin types, even sensitive. AQUA, CYCLOPENTASILOXANE, ISOHEXADECANE, ARGANIA SPINOSA OIL/ARGANIA SPINOSA KERNEL OIL, BENZYL ALCOHOL, BENZYL SALICYLATE, BUTYL METHOXYDIBENZOYLMETHANE, CI 60725/VIOLET 2, DECYL GLUCOSIDE, DIPOTASSIUM PHOSPHATE, DISODIUM EDTA, ETHYLHEXYL METHOXYCINNAMATE, ETHYLHEXYL SALICYLATE, GERANIOL, HAEMATOCOCCUS PLUVIALIS/HAEMATOCOCCUS PLUVIALIS EXTRACT, HEXYLENE GLYCOL, LIMONENE, LINALOOL, PENTAERYTHRITYL TETRA-DI-T-BUTYL, HYDROXYHYDROCINNAMATE, POLYAMINOPROPYL BIGUANIDE, POTASSIUM PHOSPHATE, SODIUM CHLORIDE, PARFUM. Garnier Micellar Oil Infused Cleansing Water is an upgrade of Garnier Micellar Water, firstly you need to shake the bottle well so that both the oil and the water is mixed, then you can use it on some cotton or even tissue if you prefer and then apply it to your skin without wearing make up so it can help to cleanse your skin so you feel fresh or with make up to remove it from your face, even if it is water proof it can remove it. i use it daily, i love the scent and i'm willing to buy another one just as soon this one finishes. i definitely recommend buying this item to deal with removing make up and cleansing your face. 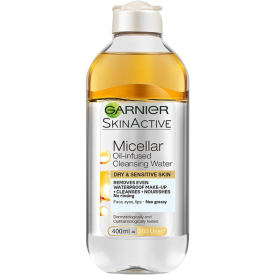 Garnier Micellar Oil Infused Cleansing Water is a novelty in the Garnier cleansers line and claims to be an improvement over the cleansing water for all skin types (pink cap) and cleansing water for normal and combination skin (green cap). Being a fan of abovementioned pink-capped micellar water I have decided to give this one a try - have been deeply intrigued by the oils that promised even better cleansing and care over my skin. In the end, Garnier Micellar Oil Infused Cleansing Water is indeed a step ahead in the micellar water domain, since it i) greatly deals with a waterproof make up; ii) nourishes the skin with the oil; iii) has a better and more powerful smell than its predecessors (something of a chamomile or even a good mass market perfume); iv) does not burn skin even in the most sensitive areas of the face i.e. lives up to the expectations when even dry and sensitive skin will feel at ease after the cleansing ritual. However, one has to be mindful of the other side of the coin. Being a bi-facil creation Garnier Micellar Oil Infused Cleansing Water has a more expensive price. 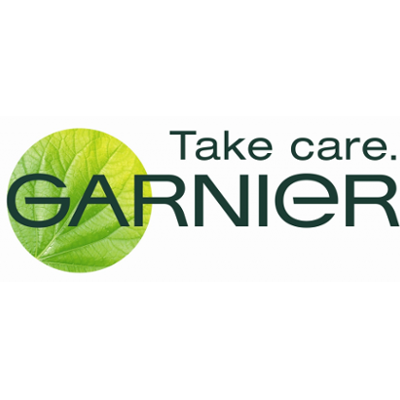 It is sometimes is as hard to maneuver as every other Garnier Cleansing Water due to the big volume of the bottle. Besides (and it slipped my mind in the previous review on the topic) the producer’s promised equation when 400 ml equals 200 times of application is true only partly provided you use a minimum make-up, f.e. only eyes and lips w/o foundation, while if you are more 'heavy' make-up user one cotton pad with 2ml of the water will not be enough to cleanse for sure. This is relevant to all Garnier micellar waters of that volume. And last but not the least – you have to vigorously shake the bottle each time you’d like to pour its contents onto the cotton pad, which I regretfully sometimes forgot. Plus the two phases of the water tend to quickly ‘disagree’ with each other that is return to their original divided state very promptly. 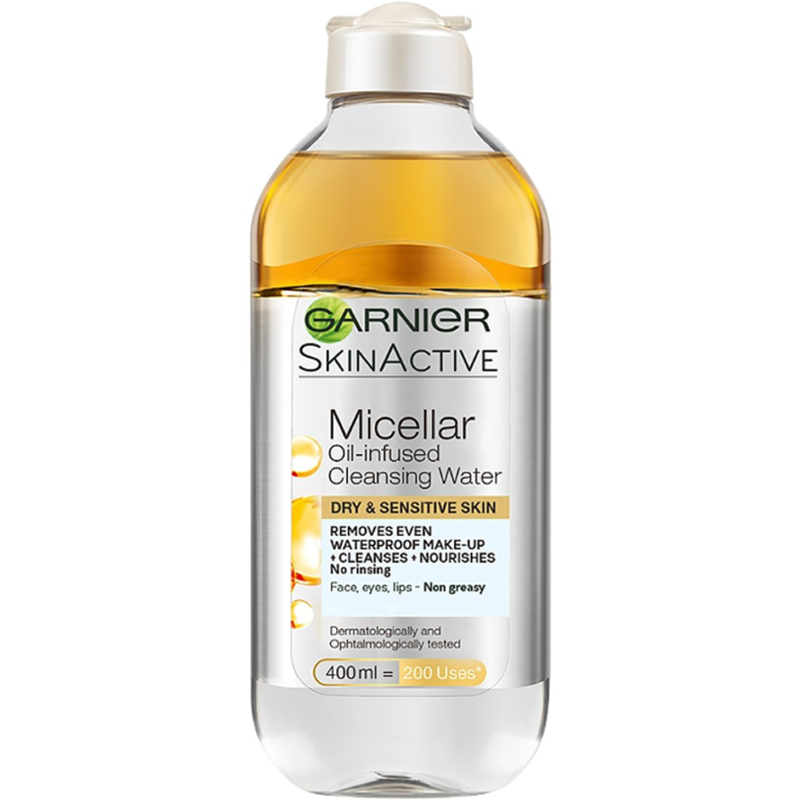 Nevertheless, for me the advantages of Garnier Micellar Oil Infused Cleansing Water overweight the disadvantages by a long shot thus I may definitely recommend this product.